In 2002, a little over a year after the 9/11 terrorist attacks, very few people and artists had the balls to openly criticize the government. Yet, Pearl Jam released an entire album's worth of critical songs and stories against the George W. Bush administration with their seventh studio album, Riot Act. The album, which came just a few months before Bush would declare U.S. Troops would go to Iraq and take down Sadaam in Operation Iraqi Freedom, and while bombings were happening from U.S. planes in Afghanistan, Pearl Jam openly put their feelings, thoughts, emotions and career on the table to say "Stop." Riot Act was a record that saw outspoken Eddie Vedder blossom into the protest leader that he had been hinting to become, it was also the record that nearly cost the band their career as fans across the country would boycott or openly boo them in concert, especially at a notorious gig on Long Island's Nassau Coliseum. 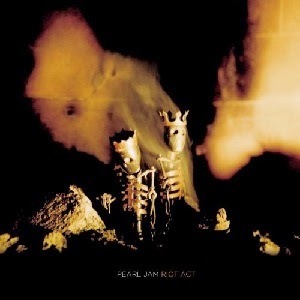 Riot Act, which was much more experimental in sound, it was much more stripped down, darker, folkier, than previous Pearl Jam efforts, including No Code, it was the most art type of rock the band had ever done. Songs like "Bu$hleaguer," "Green Disease," "Help Help," "Cropduster," showed the band's disapproval to government actions. Yet, tracks like "I Am Mine," "Save You," "Love Boat Captain" were some of Vedder's most tender and personal lyrics. When the record arrived, it was met with mix reviews and despite selling well, the record has been pushed aside over time due to the controversy around it. Well, we felt now is the right time to dig it up. Riot Act is an underrated classic.